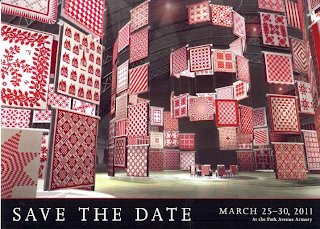 The American Folk Art Museum is sponsoring this exhibit March 25-30, 2001 at the Park Ave Armory, 643 Park Ave, New York City. 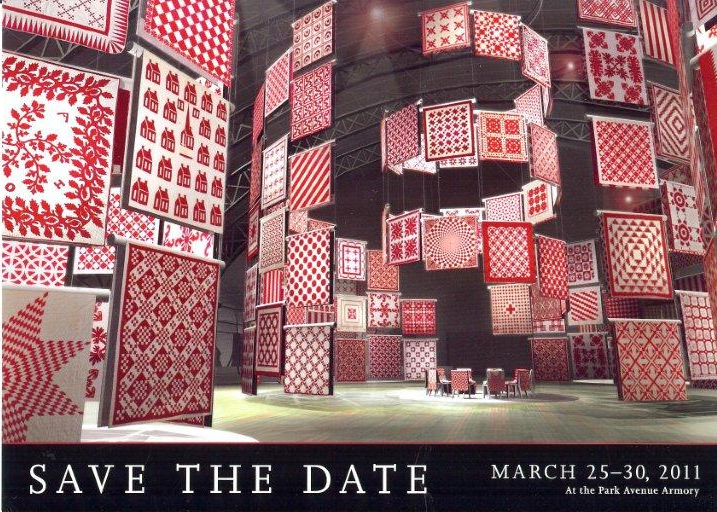 There will be 650 red and white American quilts from the private collection of Joanna S Rose. Admission is free. Check those frequent flyer miles! From what I am seeing in blogland there are some quilt lovers who will be racking up some serious frequent flyer miles. Personally, I am able to just take the train up to NY for the day and cannot wait to do it. We all owe a big thank you to Joanna S Rose. WOW how GREAT would that be..the quilts look amazing! !